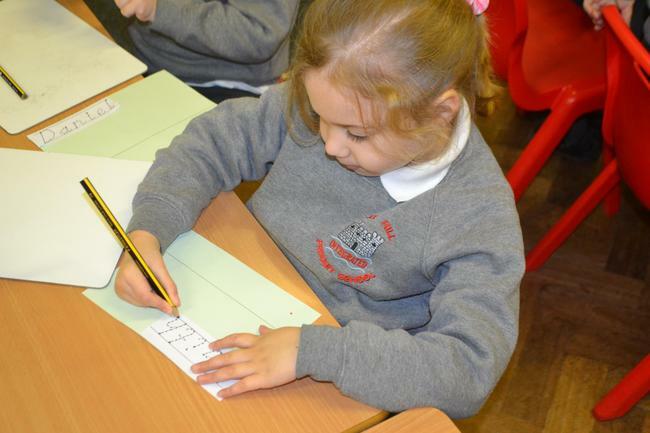 We have been trying hard to write our names in P1. NOW we are trying to write our name by ourselves. Mrs wiggam is SO PROUD of our efforts.